The hockingstuart Balwyn office is visible from the intersection of Whitehorse Road and Union Road. Complete with modern furnishing and up-to-the-minute technology, clients enjoy every comfort and advantage when they visit. 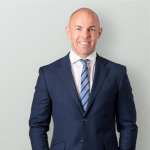 hockingstuart Directors Toby Parker and Maurice Di Marzio have an intimate knowledge of the local area and property market. They are both excellent auctioneers and use their talent for auctioneering to draw out extra bids for their clients and achieve outstanding results. hockingstuart Balwyn's community mindedness is demonstrated through the generous distribution of charity boards throughout the community. hockingstuart provides sales and marketing assistance to help local groups and charities achieve success. Suburbs serviced: Balwyn, Balwyn North, Canterbury, Camberwell, Surrey Hills, Mont Albert, Mont Albert North, Box Hill, Box Hill South, Box Hill North, Hawthorn, Hawthorn East, Kew and Kew East. The amount of marketing that should be spent on marketing depends on the property, its location, likeability and overall saleability. We have numerous differing marketing schedules that can cater to various budgets and circumstances. We’ve recently sold a lot of properties at auction with 2 to 3 bidders at each. The most successful results were advertised through the Internet, local paper and our Red Magazine. This strategy of targeting a variety of media generated a large amount of inquiry and ultimately brought several potential buyers along to the auctions and enabled us to have competitive bidding and secure a sale price in excess of our vendors’ reserves. Based on the success of these properties we’d recommend using a similar marketing plan in the vicinity of $7,000. The price varies depending on the size of the ads you wish to use in the print media, based on your own budget limitations. Toby, you are the perfect agent a vendor needs when one is faced with the trauma of selling their major asset. You have a calming and reassuring manner that is backed up by the experience needed to achieve a great result. Your campaign was very well structured, cost effective and managed professionally; it was also supported by a very attentive marketing team. You always carefully listened and complied with all my wishes, communicating with me throughout the whole campaign, this was very reassuring. You remained positive throughout without ever over promising, or glossing over problem areas, always monitoring the progress of the campaign and being prepared to reflect the situation as it was. You provided positive, timely advice as to how to achieve the best result at every step of the way. Your skill as an auctioneer is second to none, relating well to the crowed and to the buyers with whom you had previously developed a rapport. From our very first meeting last month, we knew that we had made the correct choice in the important decision of appointing you and your agency to sell our home. Your attention to detail, professionalism, your immediate attention to every one of our enquiries, your guidance through the process and the final result in the sale of our home validated our decision to entrust you and your team with the task. You and your team displayed enthusiasm, empathy and a thoroughly professional approach every step of the way. Everything happened in an orderly manner with a minimum of disruption to our lives. Even feeding our pet dog treats during open days was not too much trouble for the Hocking Stuart team. are very much at liberty to use this letter as appropriate. Toby, my family and I write to thank you for the very competent and professional job you did in selling our home. From the outset, we felt fully informed and if I was in doubt about something or anything, you at no time made my questions seem unwelcome. I really appreciate the fact that your office is so set up that any phone calls made when you were out or in a meeting, were forwarded on immediately, and you would return the call. Your enthusiasm and pride in your work is obvious and good results justly deserved from all the hard work you put in. You are a local, and certainly know the area and market well and that is a very friendly and comforting aspect of your agency. I would not hesitate to recommend you to anyone buying or selling their home or property.